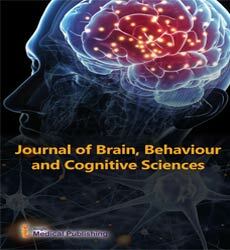 Journal of Brain Behaviour & Cognitive Sciences is a peer-reviewed open access journal published under the Imedpub Journals. It is a internally leading Open Access journal that aims to publish most complete and reliable source of information in the mode of original articles, review articles, case reports, short communications, Minireviews, letter to editor, commentaries, etc. Submission from the related areas of neurosciences, behavioural sciences or cognitive sciences are apporopriate for publication. Journal of Brain Behaviour & Cognitive Sciences creates a forum for cross-disciplinary research contributions to all aspects of the cognitive science disciplines, Behavioural and Brain research. We will consider manuscripts of any length; we encourage the submission of both substantial full-length bodies of work and shorter manuscripts that report novel findings that might be based on a more limited range of experiments. In open access journal you have to publish your paper with a particular amount of publication charge. Journal of Brain Behavior & Cognitive Sciences defrays those costs from article-processing charges (APCs) payable by authors once the manuscript has been accepted for publication. Journal of Brain Behaviour & Cognitive Sciences does not have subscription charges for its research content, believing instead that immediate, world-wide, barrier-free, open access to the full text of research articles is in the best interests of the scientific community. Provide the first names or initials (if used), middle names or initials (if used), surnames, and affiliations-department, university or organization, city, state/province (if applicable), and country-for all authors. One of the authors should be designated as the corresponding author. It is the corresponding author’s responsibility to ensure that the author list, and the summary of the author contributions to the study are accurate and complete. If the article has been submitted on behalf of a consortium, all consortium members and affiliations should be listed after the Acknowledgments.